Each and every detail of your home reflects who you are. If you want to send the right message to visitors who enter your home, then it is a good idea to take time when trying to change certain aspects. When it comes to selecting new doors in Naperville, IL, for example, you want to choose an option that will be able to provide you with equal amounts protection and style. Before you can start your search, you are going to want to think over what you can afford to spend. Having a clear idea of your budget can help you to figure out exactly what you can and cannot put forward for this investment. Come up with a solid plan for your finances before anything else and you are going to have an easier time with this search. After you have arranged your finances, it is time to think about materials. When choosing new doors in Naperville, IL, you have to remember that the materials you pick will have a profound impact on the results. Some options will be more durable than others. Protecting your home is important and the materials you select for your front door will help to provide a strong solution. You are also going to benefit from thinking about the style of the door when choosing your materials. An ideal option will provide you with durability and pleasant aesthetics. This will require some research on your part. 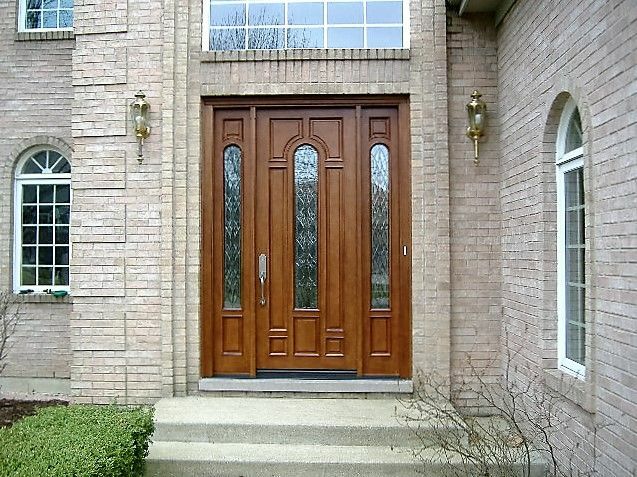 You may also find that it is helpful to speak with a representative that specializes in the area of new doors in Naperville, IL, to answer any questions or concerns. Your front door will help to tie together the look of your home. Take time before you make your choice and be certain that all of your thoughts are in order. You want to make sure that your finances are in order, that you know which materials are the most durable, and how you can make your door choice a stylish and appealing one.